Certain streaming services will function more reliably if you block specific IP addresses on your router. This guide will show you how to block specific IP addresses on TP-Link routers, using two Google DNS server addresses as an example (8.8.8.8 and 8.8.4.4). To block specific IP addresses on your TP-Link router, you’ll need to set some special routing rules. These rules ensure your network traffic will not flow through the IPs you specified. 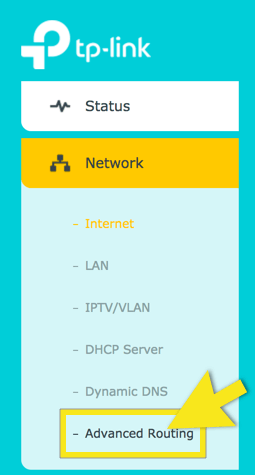 On the sidebar, go to Network > Advanced Routing. 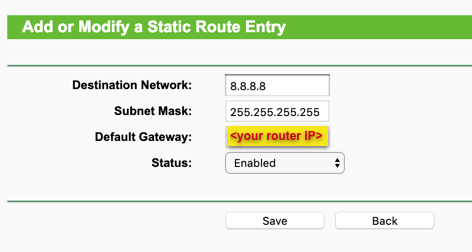 If you’re using the older version of the router dashboard, click on Advanced Routing > Static Routing List.